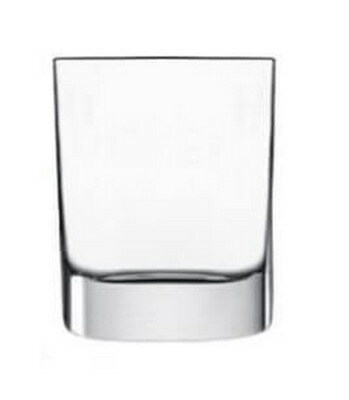 This square glass has a striking square shape. 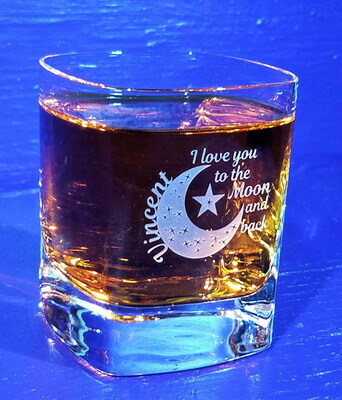 It is ideal for juice or as a smaller whiskey glass. 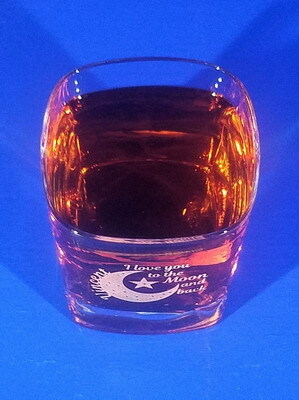 It is 3-1/4 inches high and holds 8 ounces. 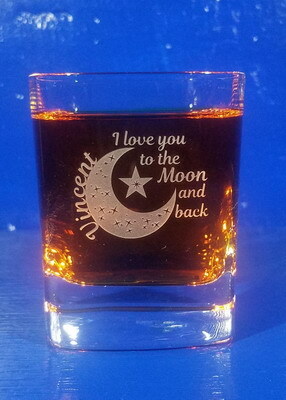 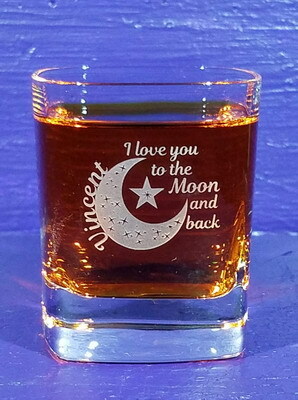 The Moon/Star design and "I love you to the Moon and back" design available upon request.